Everyone who has an Android mobile wish to install latest Android Version or wants to remove some specific Stock apps. But rooting a Mobile is always risky. It is difficult to find the correct bootloader and Rooting Software. The developers at CyanogenMod Community has come up with a new app and Software by which we could simply load a custom CyanogenMod ROM. So are you ready to Start ?? Make sure you have more than 80% Battery. It is recommended to have a Stock ROM ( Rooted or Un-Rooted. It doesn't matter which you has. Our App will take the action to Root it). Have a working USB cable and USB port for avoiding disconnection during the procedure. We could divide the installation guide in to two parts. 1) Downloading and installingCyanogenModAndroid App.2) Downloading and Installing CyanogenMod windows installer. 1) Downloading and installingCyanogenModAndroid App. If Unknown sources is already checked, you can skip this step. If unchecked, tap the check box and then tap OK on the confirmation popup. 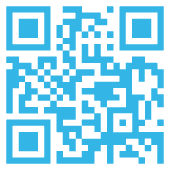 From your Android phone or tablet, visithttp://get.cm using your web browser orscan the QR code below. Download the OneClick.apk , install , open the app and proceed the instruction displayed. 2) Downloading and Installing CyanogenMod windows installer. Download CyanogenMod windows installer from the link below. Disable Anti Virus software if Exist any in the PC. Take the backup of Mobile if you need any and Remember to Sync your contacts with Google Contacts for not Loosing the Contacts in future. Start the installation by opening the downloaded files and wait until it asks to plug the mobile. Once the App in mobile tells you plug the mobile plug the mobile. Once the mobile is detected, It asks the confirmation and on confirming it starts to Download the Stable version of Operating system from the CyanogenMod repositories. After it Downloads the ROM, It asks for confirmation to Install and Press Install the Button to Start. Lean back and Enjoy the Coffee when CyanogenMod app does it's work. Share this post if you like it and Leave your Feedback below.